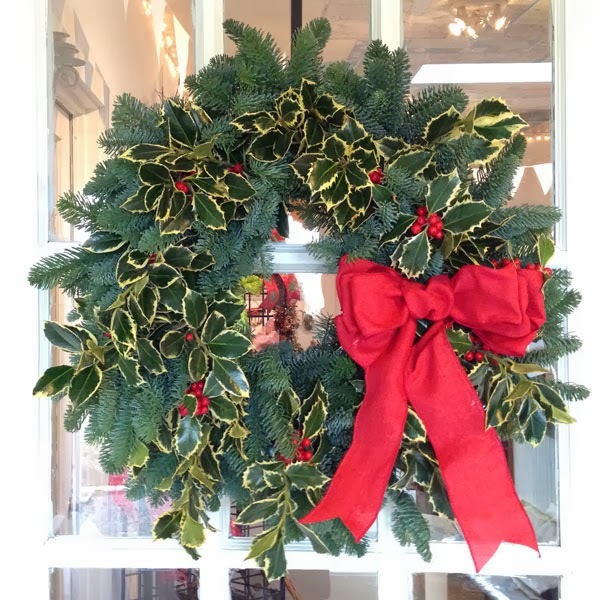 Boxwood wreath with a red satin box. 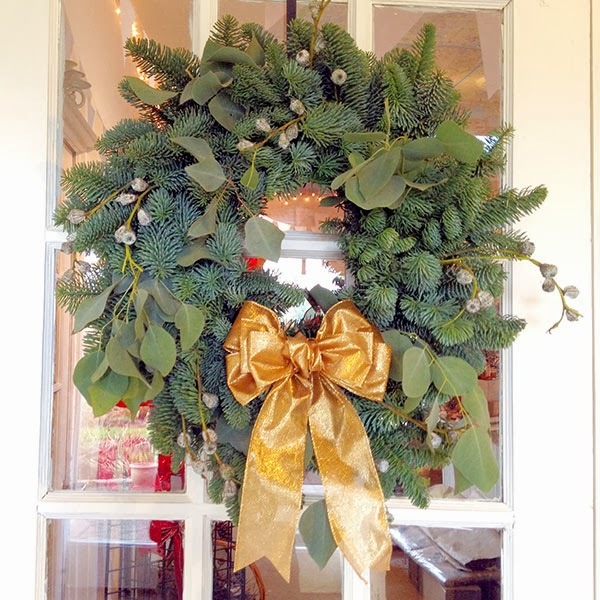 Noble fir and eucalyptus wreath with a gold bow. 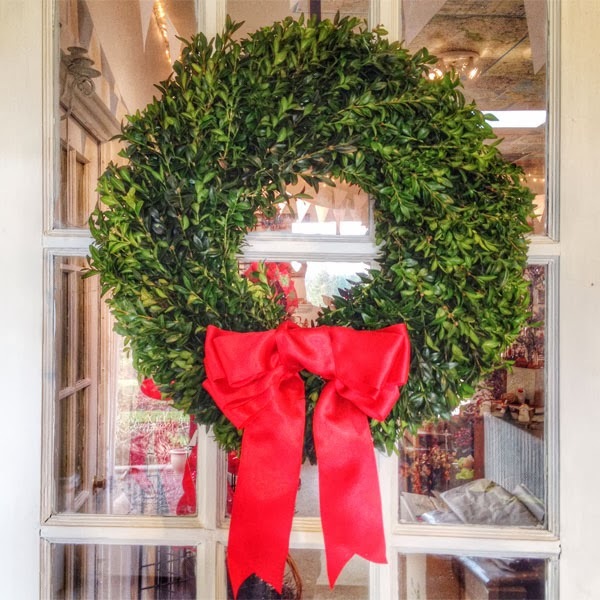 Variegated holly and noble fir boughs wreath with red bow. We have been busy stocking the gift shop with fun gift items and sweet little ornaments for your tree. 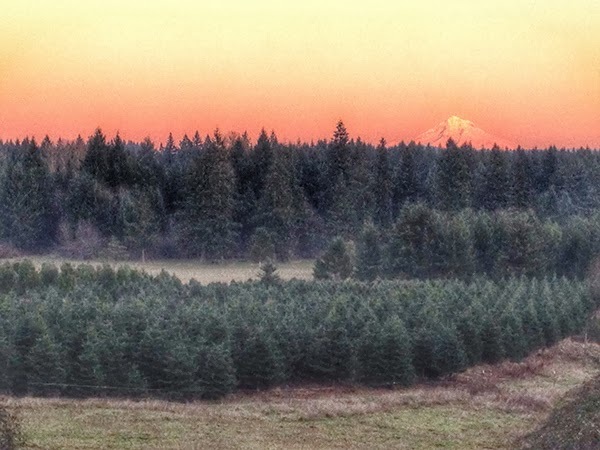 Here a few of the new items available at our farm during the 2013 season. While supplies last. 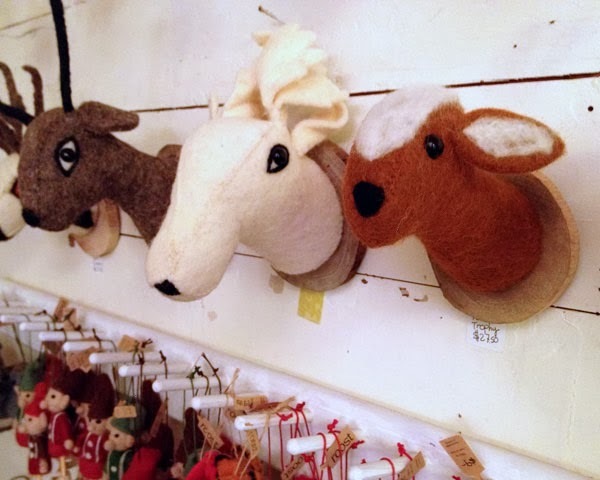 Friendly felt wall trophies from Roost... "Fun and fantasy pervade amongst our forest friends, each a unique character since they are made by hand in whimsically-worked wool felt. Mounted on a wooden plaque with metal keyhole mount for hanging, they are an irresistible bunch of rascals". Sold Out. Roost wooly gnomes, elves, foxy foxes, and traveling mice are just a few of the ornaments available to help you decorate your tree. 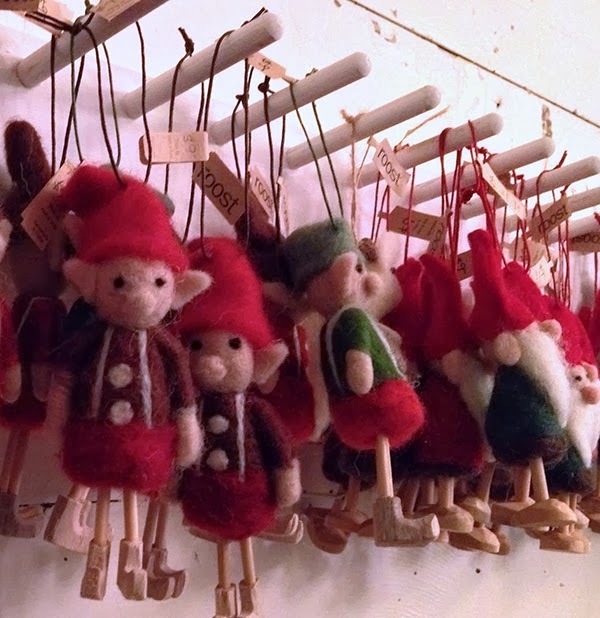 "These hand-stitched wool felt and hand-carved wooden details give our quirky elves their charm." 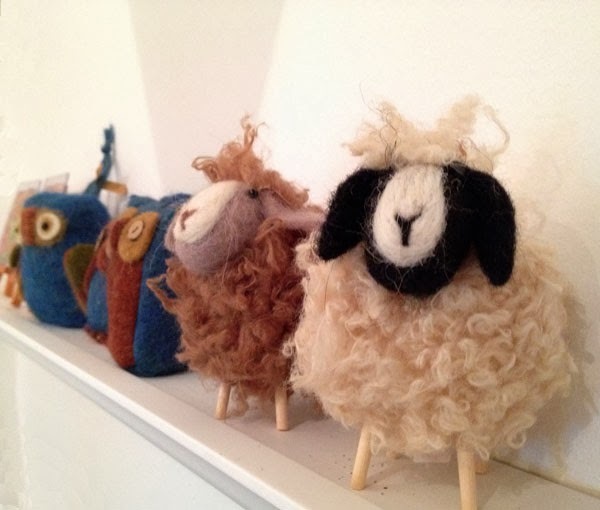 Felty flock of sheep from Roost. "This little flock of sheep is adorable with their crazy wool coats. Sheep come in two different sizes and in either taffy or cream color. For easy sheep herding during the holidays sheep stand alone or hang from a jute loop on your tree". Approx 4.5"high. Online purchases of a Pair Shaggy Sheep available. 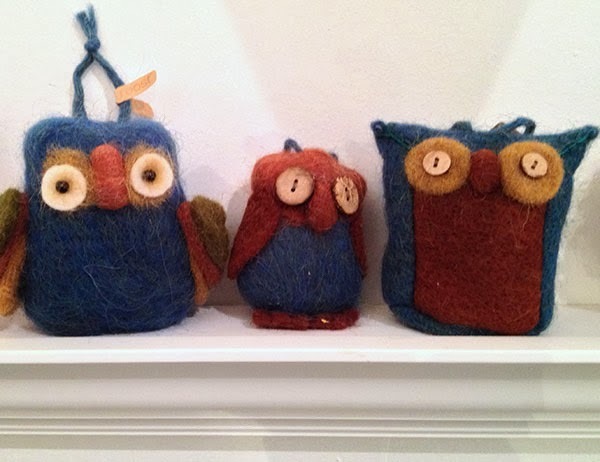 Owlish Felt Ornament from Roost...."The bushy eyebrows, wood button eyes, and curious expressions of our felt owls make them charming accents for holiday trees. They nestle perfectly in branches from wool loops in a cool earthy palette of teals, greys, moss, brown, and ochre. Six different styles 3.5" to 5.5 high.